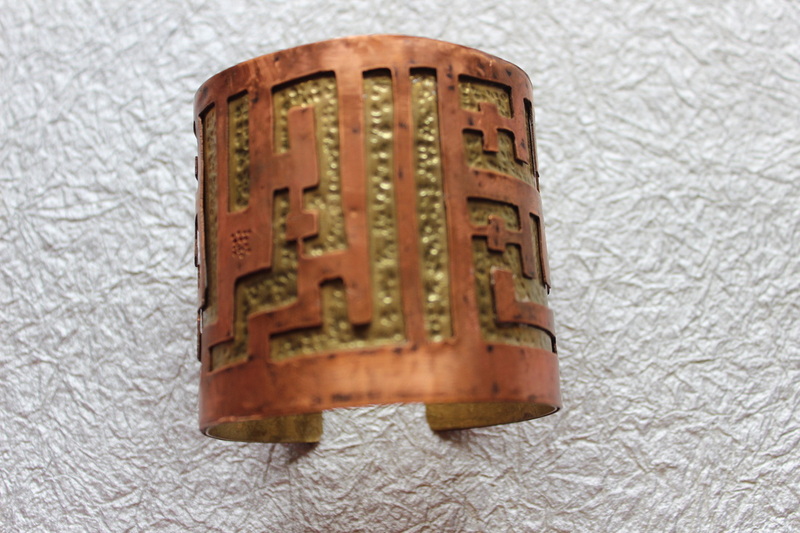 This series of cuff bracelets incorporate the inscription 'bismillah al rahman al rahem', which translates to 'in the name of Allah, the most gracious, most merciful'. 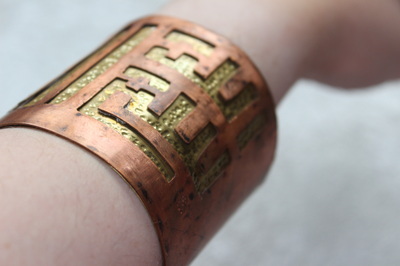 The style of Arabic script used is known as 'square kufic'. 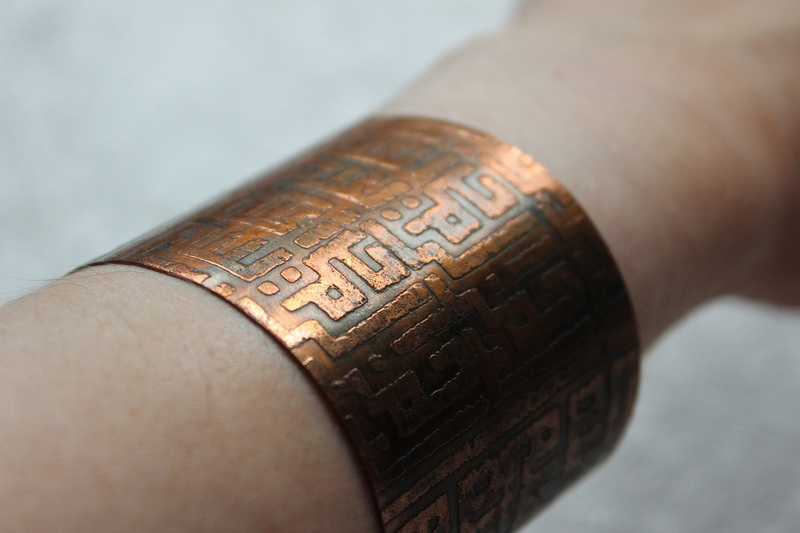 The square kufic style is derived from an architectural tradition where it was applied as a pattern on to buildings with a square grid. As a result it becomes difficult to define the letters and words, creating a beautiful geometric pattern. 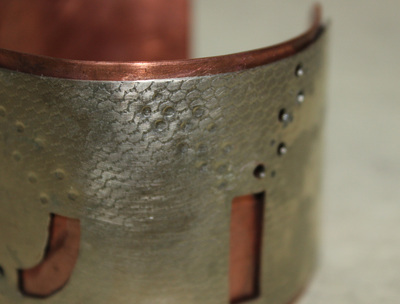 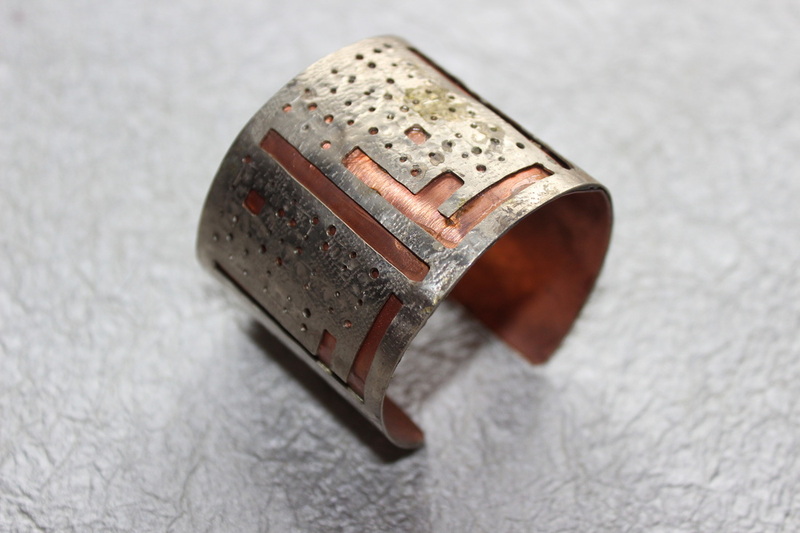 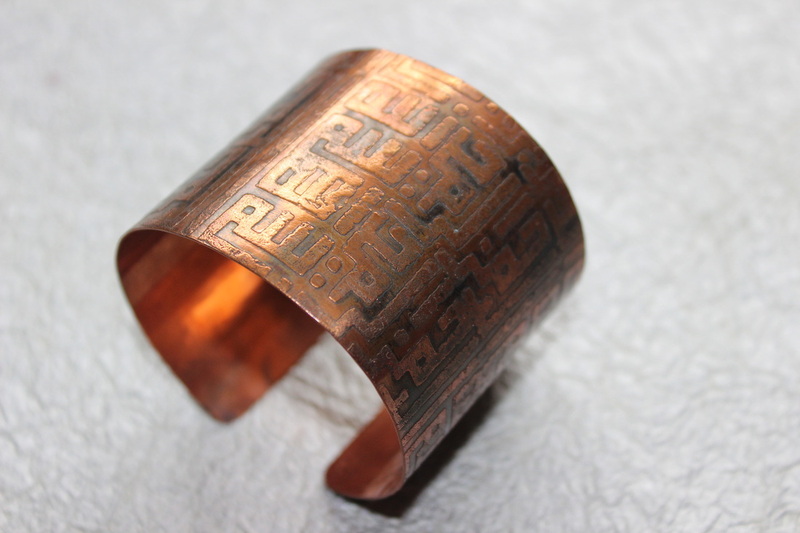 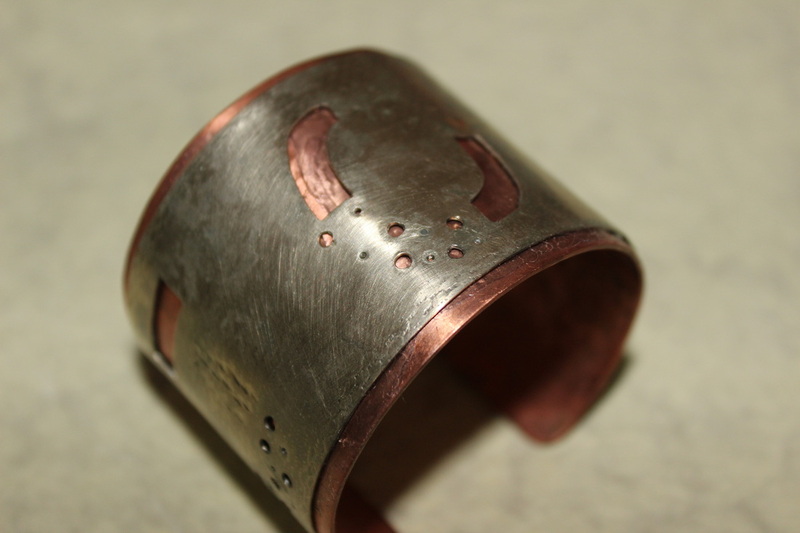 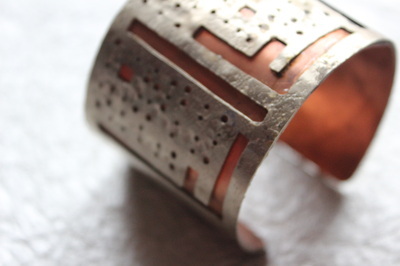 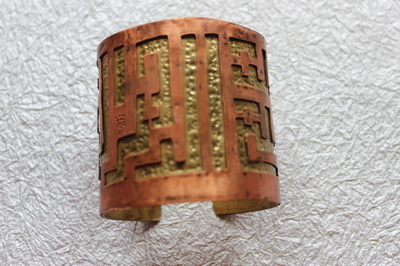 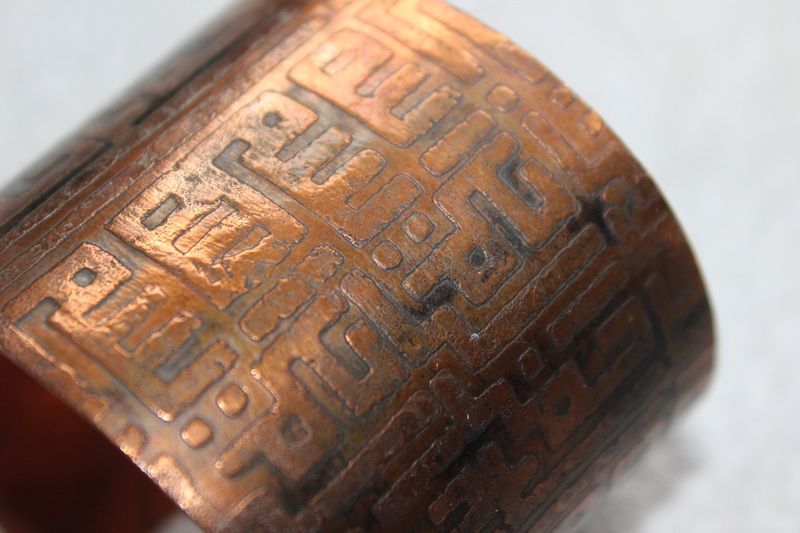 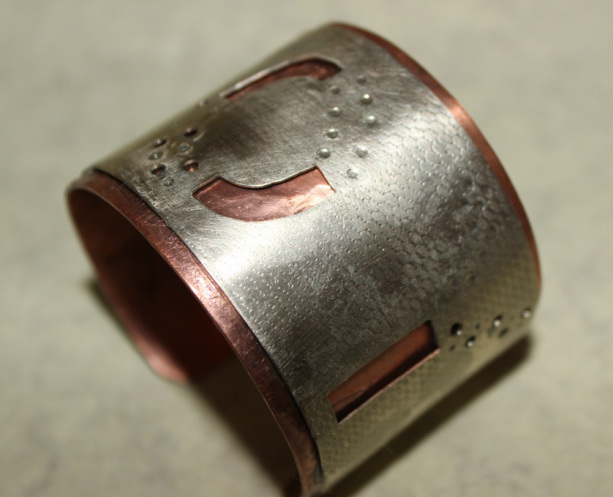 Commission to create a contemporary cuff bracelet incorporating the word 'Joy'. 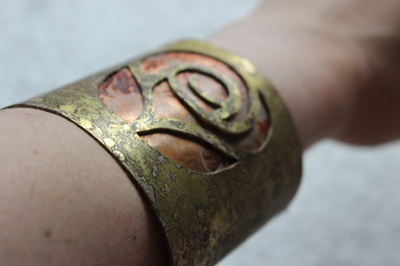 "Thank you so much for the bangle. It's beautiful! 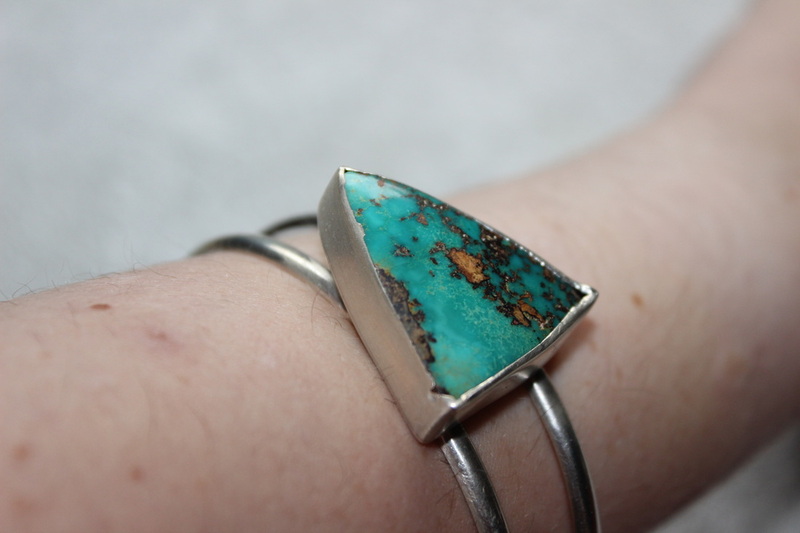 It's stunning! 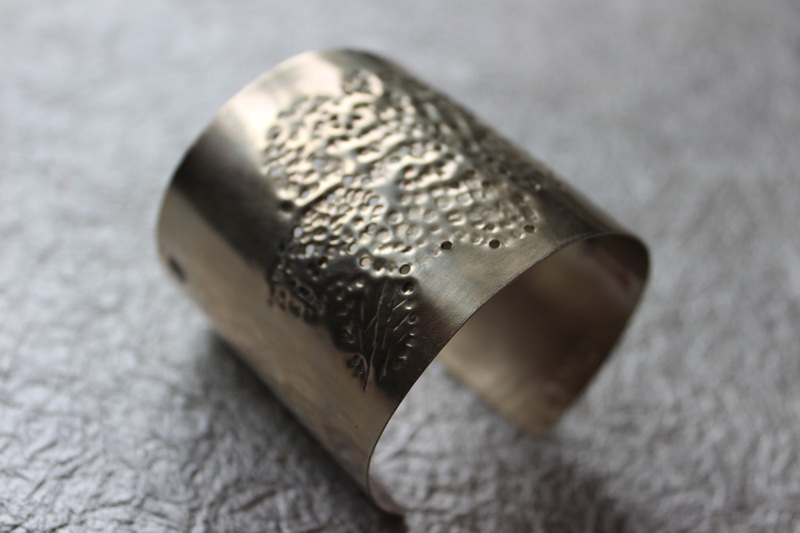 It's really special to have something unique, made just for me, and a piece of jewellery that is not just beautiful but also means something to me." 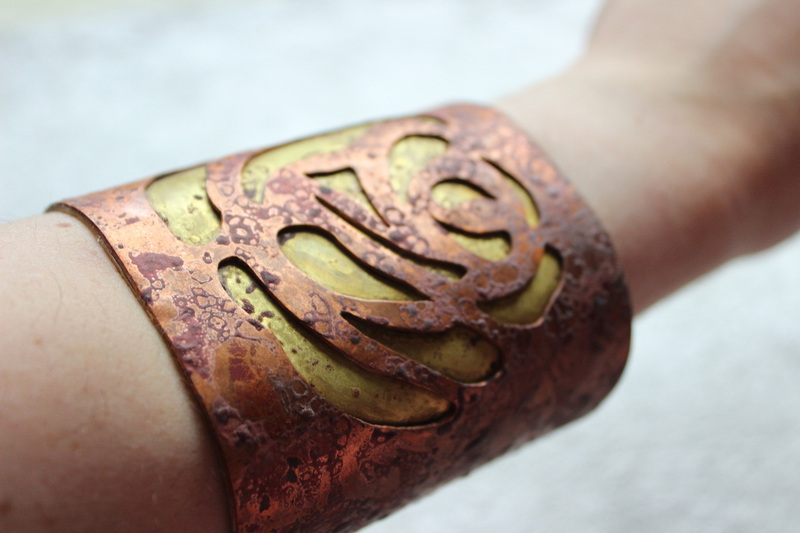 Art nouveau could be said to be the first 20th century modern style. It was the first style to stop looking backwards in history for ideas, taking inspiration instead from what it saw around it, in particular the natural world. 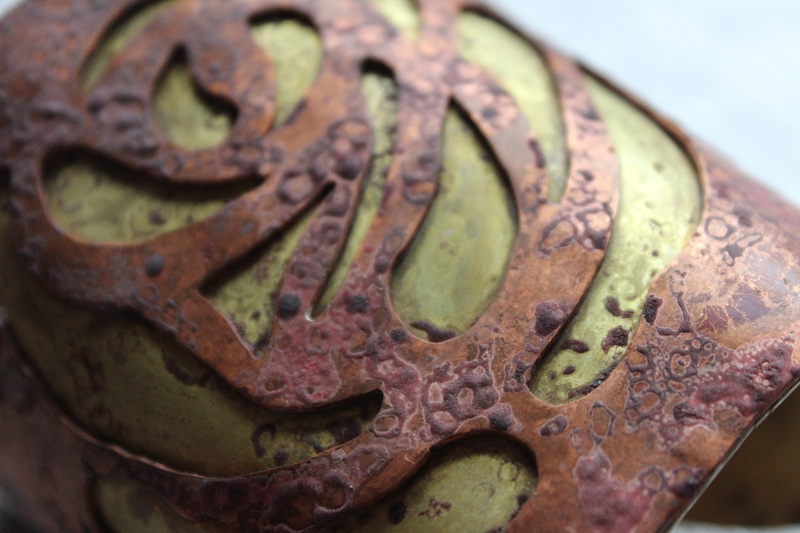 Flowers were very largely stylised and as a result are hard to recognise. 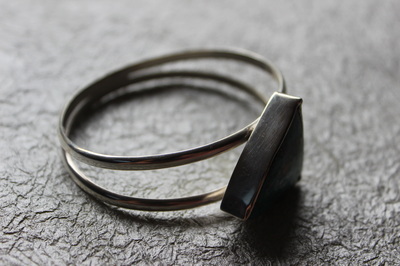 In this piece I have incorporated the form of a tulip that has been broken down to its simplistic geometric forms. Another piece inspired by the stylistic representation of flowers and nature during the Art Nouveau period. 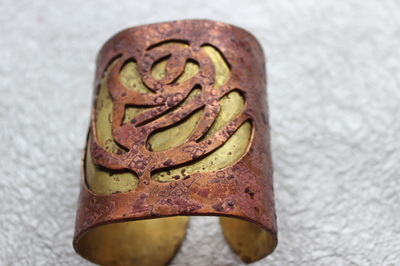 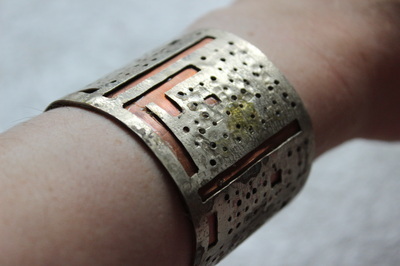 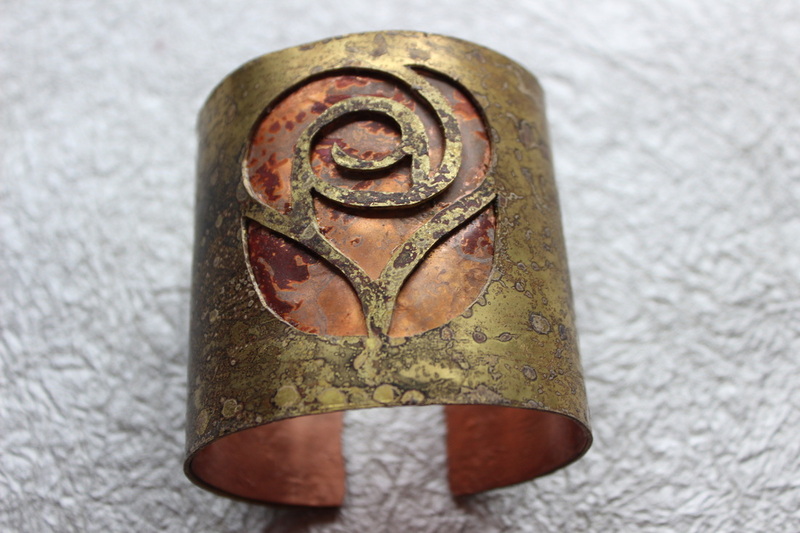 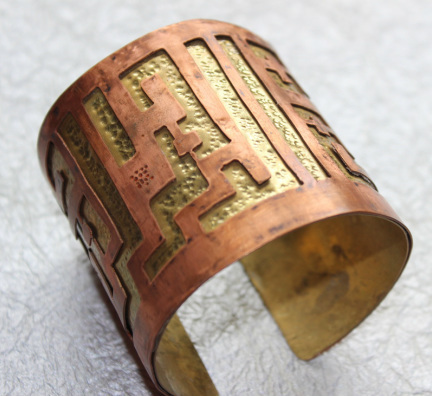 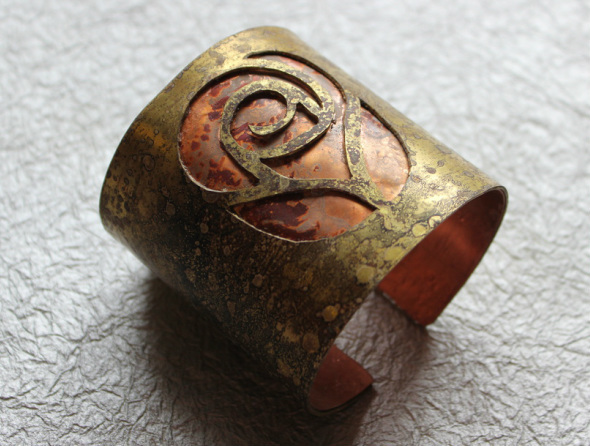 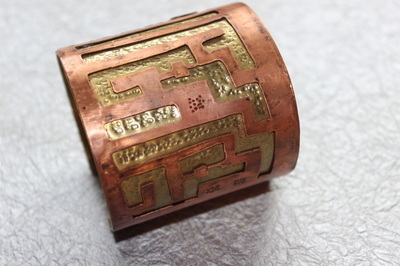 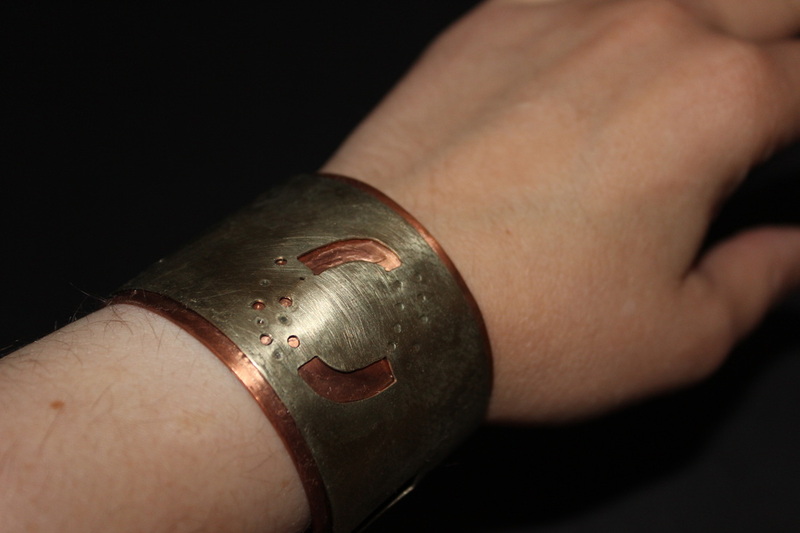 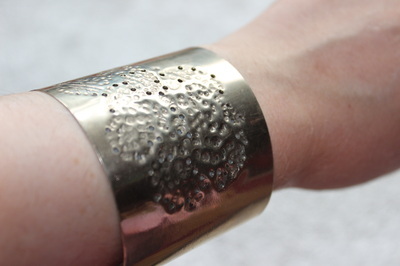 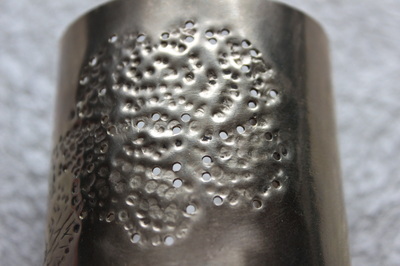 This cuff bracelet incorporates a rose motif. 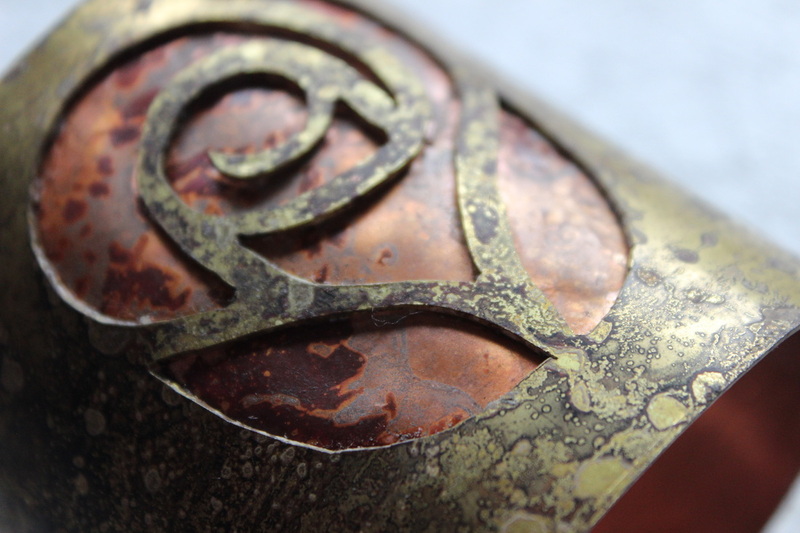 The individual stencil forms have been cut of of the outer copper layer to reveal the brass underneath. 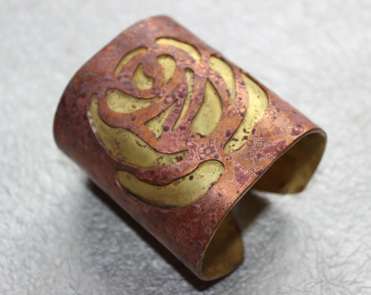 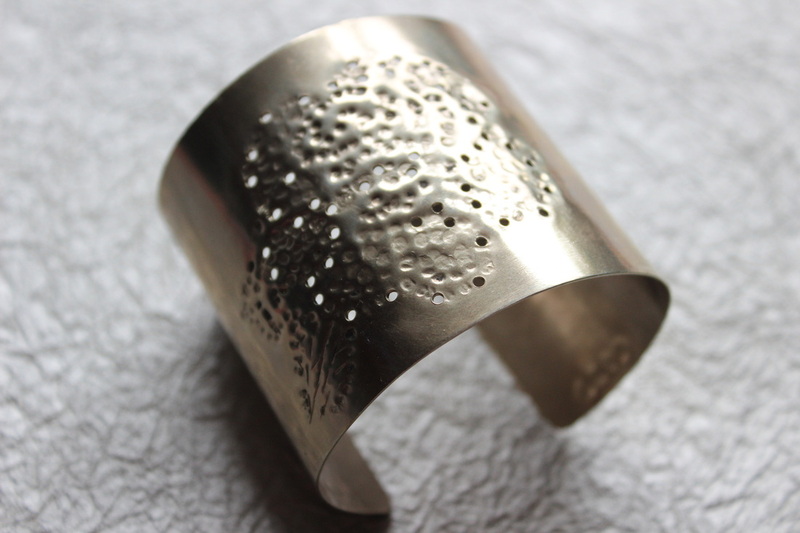 This simple rose motif cuff is created by making a series of piercings and marks that define the form of the flower and surrounding leaves. It's a development from the Art Nouveau floral motifs; breaking down the form until it is no longer recognisable. 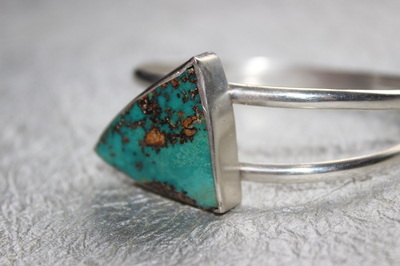 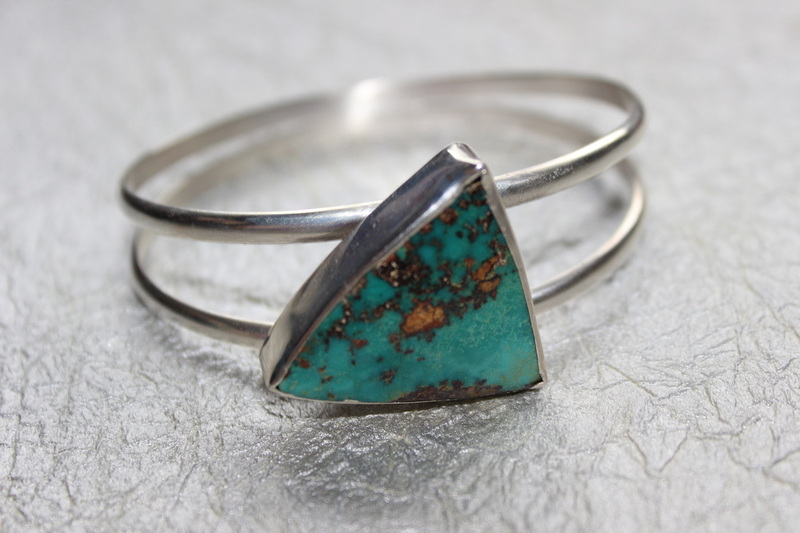 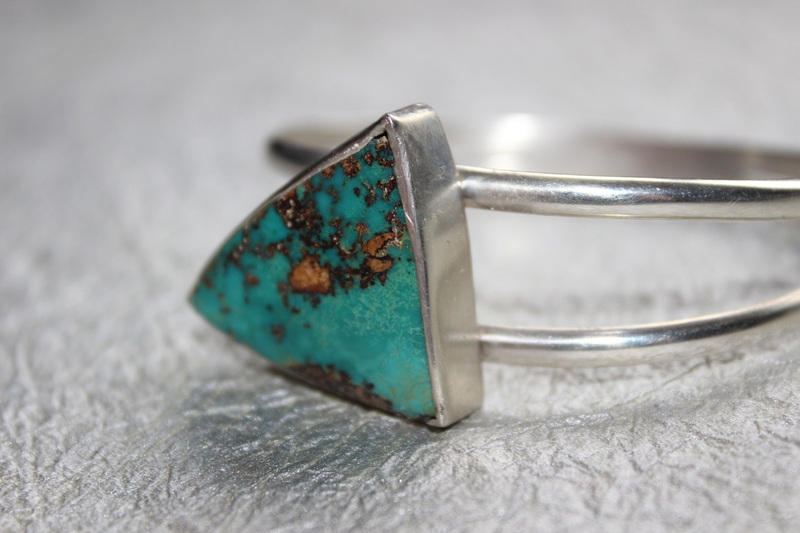 This delicate piece is made by creating two sterling silver bangle bracelets that are soldered together and connected by a silver stone setting encased by a turquoise stone.